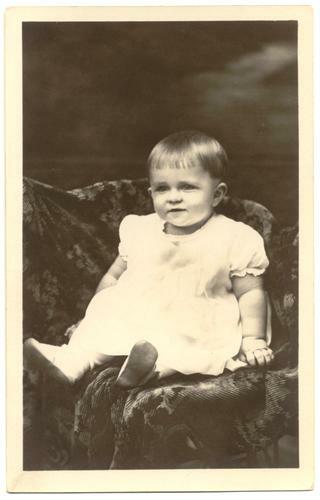 Infant wearing a gown and shoes, while sitting on a floral patterned throw or coverlet. "Robert Frank Hynek" is penciled on back. Location is unknown; photo was found with other items from southeast Nebraska and northeast Kansas.